Perl is popularly called as Practical Extraction and Report Programming Language. It was developed by Larry Wall, which was specially designed for the text processing. It is easy, simple, uses natural language elements. It is a high-level, extremely portable, interpreted and dynamic programming language. It runs on a variety of platforms, such as Windows, Mac OS, and the various versions of UNIX. 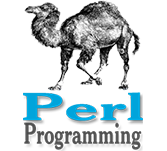 This tutorial gives you a complete idea on Perl. This is actually prepared for beginners to help them analyse the basic to advanced concepts of Perl Scripting languages. Before going to start practicing with different types of examples given in this reference, the beginners need to have prior knowledge of C programming and Unix Shell. For most of the examples given in this tutorial you will find Try it option, so just make use of this option to execute your Perl programs at the spot and enjoy your learning.